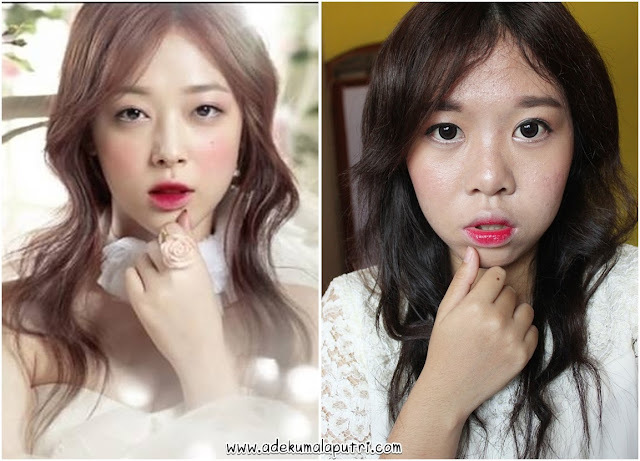 Etude House Dear My Essence in Lips-talk. Actually I was looking for a good loose powder to replace my Candy Doll Mineral Face Powder, because loose powder is more suitable for my oily-combination skin. But unfortunately I think loose powder is not travel friendly and it is so inconvenient to touch-up my makeup! So.. this time I decided to try the compact one, and I bought this pact from a Korean beauty brand (Holika Holika) last May.